Growing up, I was frequently warned to avoid street food; my mother used to run a campaign at home to boycott anything eaten at a street vendor! She never trusted it, and perhaps never will; however, I always had a craving to this type of cuisine, and more than often, I used to indulge myself without her knowledge. Of course, part of its allure stems from the fact that street food is cheap and accessible, but there is more to it than just that. There is a reassuring feeling that one gets when experiencing street food in the midst of the busy streets of Cairo. 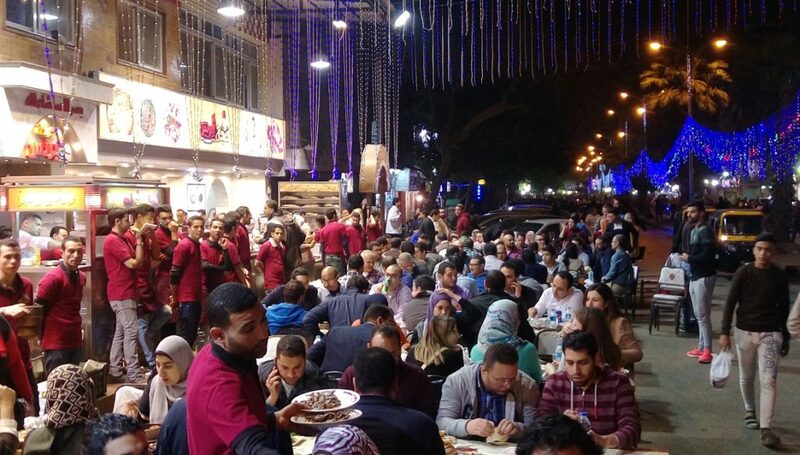 People of different classes come together to sit and share a meal, united by nothing but their love for Egypt’s authentic cuisine. Perhaps, one of the things that unite us as a people is Egyptian street food, and despite my mother’s warnings, true as they maybe or false, once in a while, one has to experience such a feeling of integrity and authenticity; with every bite, I used to feel closer to my roots. Now, of course, there are some vendors that are bound to give you food poisoning, but there are many others who pride themselves on providing clean food with authentic taste. Also, in recent years, restaurants like Zooba and Kazouza popped up, offering Egyptian street food in bouji style. Whether you like the authentic taste of Farahat or lean more towards the upscale eateries, here is a list of the places I think deserve a shoutout for their authentic Egyptian street experience. At the heart of one of Cairo’s most populous districts, Imbaba, one of Egypt’s highly-renowned street-side food vendors places its long stainless-steel tables on the street for people to park themselves on. The restaurant is one of Imbaba’s hallmarks and finding a table is always difficult, but the staff are very helpful and welcoming. The food there is all Egyptian, but my favorite item that the restaurant is most known for is the liver. Liver here is found in all styles, from the grilled buffalo liver to the gravy-drenched camel tajine. 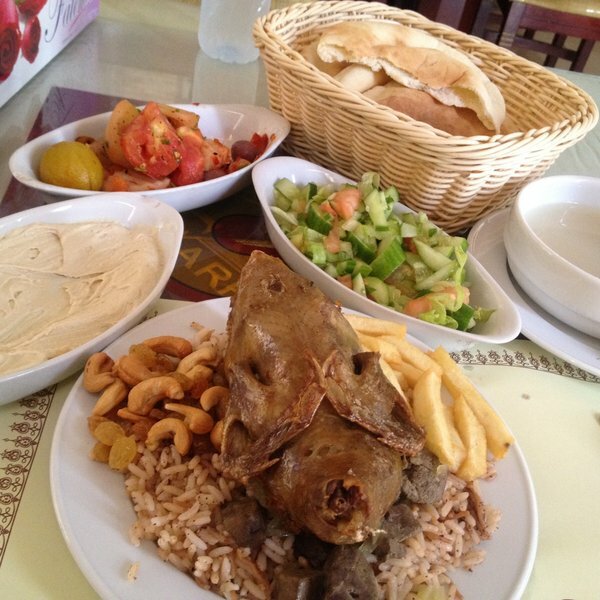 On a side note, Wara’et lahma with rice and molokhia is a must try! With heavenly molokhia and savory meat koftas, Rod Al-Farag’s most famous kebabji, Sobhy Kaber, isn’t just a restaurant, it is an experience. The man started out as a simple street vendor with minimal items on his menu, but due to the mouthwatering food he offers, his business grew. In 2016, he bought his own restaurant right next to his old spot. In 2018, Sobhy opened his first international branch in the multi-cultural city of Dubai to give the people there a taste of Egyptian authenticity. I have been a regular customer at Abo Tarek’s since I was seven, and I can attest to the fact, that it has, without a doubt, the best Koshary in Egypt. I do not know if it is the well-made macaroni and rice or the secret ingredient of his salsa, but it has a savory taste that no one can deny. 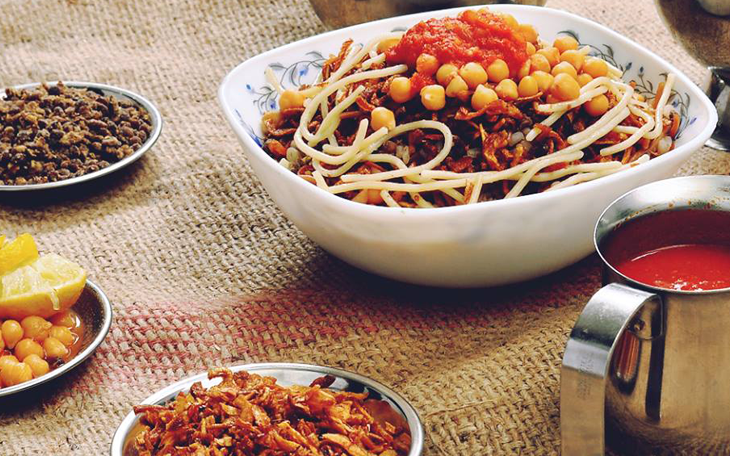 Fun fact: Koshary Abo Tarek holds the Guinness World Record for Largest Koshary Dish Ever Made! In a heated debate about who serves the best Koshary dish in Egypt, Koshary Al-Tahrir is always one of the top five. With well-furnished, modern branches and savory condiments that give the plate a delish taste, it definitely deserves the praise. One advantage that Koshary Al-Tahrir has is that its branches are almost everywhere around Cairo. Just check the closest one to you, gather your friends, and head off for a Koshary feast. The Middle East’s oldest and most delicious liver and sausage street vendor, Ezz El Minoufy, has had the iconic corner at the intersection between Al-Dokki and Iran street, since 1976. It is not uncommon to find multitudes of peopale waiting more than an hour for their sandwiches. 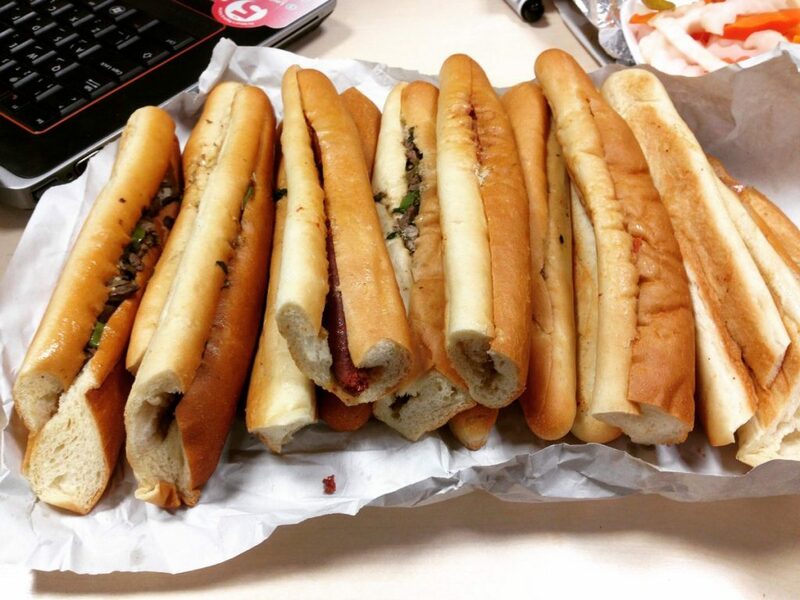 It is also very common to find yourself asking for a sandwich and end up eating six. There is something nostalgic about the way the liver and sausage are cooked, and the special seasoning of the food will melt your taste buds, leaving you asking for more. Business has been good with Ezz, as of now, they have three other branches in Mohandesin, New Cairo, and Maadi. At Sameh’s every sandwich has its own story, literally. When Sameh first opened up, he allowed customers to choose which ingredients to put in a sandwich. There were some choices so delicious that Sameh integrated them in the menu and named them after their original creators. The menu there is riddled with peoples’ names like Shafiq, Mekha, and Mina Samy, with the ingredients written below each name. My personal favorites are Shafiq and Kareem Allam. Few cultures eat pigeon, fewer are passionate about it, Egyptians are madly in love with it. Stuffed pigeons, seasoned in a savory mixture of aromatic, fiery, and sweet spices, marinated with lemon and olives, then grilled or roasted for that charcoal flavor, that is the regular deal at Farahat. The restaurant is one of the oldest and most well-known when it comes to stuffed pigeons in Egypt, and it is a must visit. 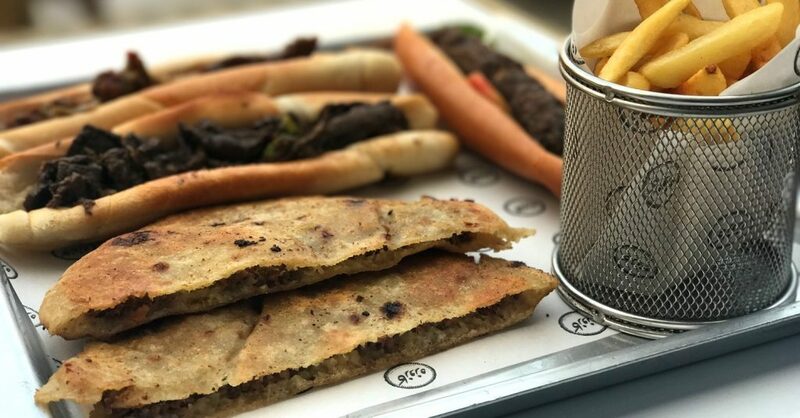 Renowned for its preservative-free menu, Zooba offers traditional Egyptian street food in an upscale, yet cozy atmosphere that is sure to make you feel like home. The restaurant re-invents Egyptian authentic food, adding its own ingredients and twists. Zooba has several branches all over the Greater Cairo area and is scheduled to open up branches in Saudi Arabia, Bahrain, and New York to give the world a taste of our Egyptian cuisine. Looking for an authentic Egyptian street food dining experience, Kazouza is the place to go. The place offers an all-day menu with traditional breakfast, classical dishes, and lovely atmosphere. On the inside, the place feels like Cairo but from a different era, where you will feel at home. 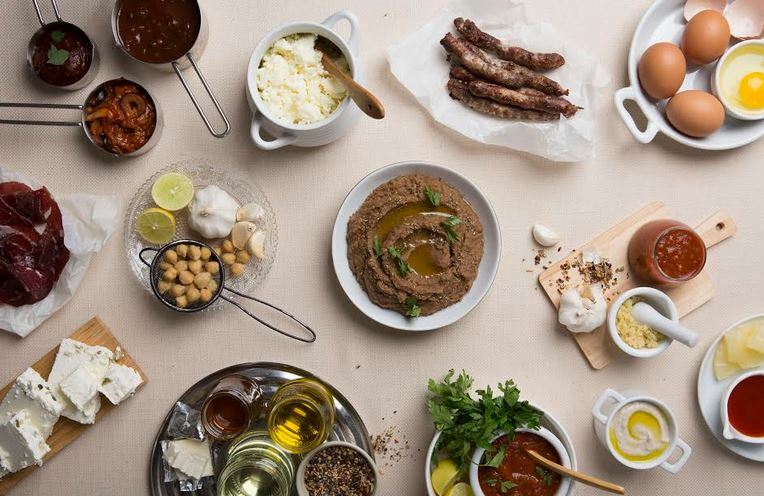 Kazouza is renowned for their feteer with their Alexandrian-style livers and sausages. So, if you are ever there, you have to try it. Well, I was skeptical at first when I heard of the Egyptian food fusion experimentation at El Torr, but to be honest, the restaurant did not disappoint. The menu has a myriad of traditional dishes that taste really good, and as for the fusion option, Egyptian beans served in a Mexican Burrito was definitely one of the best sandwiches I ever tasted. Foool Tank is one of these restaurants that only offer delivery, and upon trying their varied menu, it sure has something to add to the growing bean-fusion scene. The eatery provides traditional breakfast options, as well as a number of mixes that will surely melt your taste buds. There are some exotic beans combinations like kiri cheese, barbecue, sweet and sour, and even fajita! The prices are very reasonable and all the aforementioned options are a must try! With a nostalgic wooden decor and efficient service, Bab El Hadid is one of Cairo’s fastest-growing food chains with traditional Egyptian food that is both savory and wallet-friendly. The place is well-known for their Turkish sausages, Alexandrian livers, and the mouth-watering Hawawshi. One of Egypt’s favorite restaurants, with several branches all over Cairo, Desoky & Soda is the home of classical cheesy tajines that we all adore. It is an Egyptian success story that started with one branch and ended up with four. Deep in the midst of Downtown Cairo is a blue and white shop that reads “Fasahit Somaya” on its entrance. Inside, tables are set with customers waiting for Somaya to finish up her dish of the day. At Fasahit Somaya, there are no menus, Somaya chooses a dish for the day and then serves it. Once all the food is eaten, that’s it, she takes no more orders and closes up. The place is well-furnished with old photographs in beautiful wooden frames with Somaya treating her customers like guests at her own house, making small talk and helping them with their questions. It is a truly cozy place, with authentic food that you definitely have to visit.